It's that time again when East Midlands Netball and England Netball need your help to say a massive thank you to our huge volunteer workforce. The Goalden Globe Awards 2012 nominations are now open! 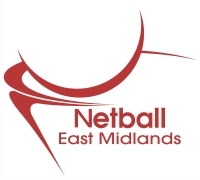 East Midlands Netball will choose a regional winner from each of the 8 competitive categories. The winners will be announced at the East Midlands Goalden Globe Awards 2012 being held on Saturday 16th June 2012 (venue TBC). Regional winners will then be put forward for the National Award which will be announced at the National Goalden Globe Awards 2012 being held on Saturday 22nd September. With eight different categories, there really is something for everyone. So, now it's down to you.... who needs to be recognised in your area? For the England Netball Long Service Award individuals may self-nominate. All nominations must be seconded by a County Association. The England Netball National Long Service Award may be presented to volunteers who have given selfless outstanding service for 25 years or more by way of administration, coaching or umpiring at one or more of the following levels: county; regional; national and international. The England Netball Rose Award may be presented to a volunteer or organisation that has made an exceptional contribution to netball in any capacity within the last 12 months. This may encompass any aspect of the game and its administration. If an individual has been nominated in a previous year they are still eligible for this year’s award so nominate them again. Two Dates for your Diary!